Thomas E. Baxter has been an attorney since 1974 and practices in Worthington, Ohio. He is the managing partner of Baxter & Borowicz Co. LPA. Tom has represented clients in numerous estate tax audits and has appeared in the U.S. Tax Court on behalf of fiduciaries in Federal estate tax cases. He has presented numerous legal education programs on revocable and irrevocable trusts with emphasis on income and estate tax consequences of trusts versus other forms of asset ownership. 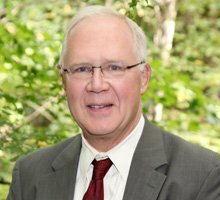 Tom is a former member of the steering committee of the Worthington Estate Planning Council and a member of the Columbus Bar Association and Ohio State Bar Association. Tom is AV® Preeminent™ rated by Martindale-Hubbell®. Click Here to view video.